Christopher Pyne and Karen Andrews at the the Regency TAFE campus in Adelaide for the announcement of the Maritime Technical College in March. An announcement on the preferred tenderer to run the Naval Shipbuilding College will be made in mid December, the Defence Industry Minister has said. Minister Pyne confirmed the news while speaking at the fourth Submarine Science, Technology and Engineering Conference in Adelaide. The new shipbuilding school is slated to begin operating on 1 January 2018 and will train thousands of skilled workers for work on the future submarines and frigates. The Australian Maritime Technical College, costing taxpayers $25 million, was announced by Minister for Defence Industry Christopher Pyne, Assistant Minister for Vocational Education and Skills Karen Andrews and Minister for Education and Training Simon Birmingham in March this year. Minister Pyne has previously said the college will eventually move into including higher education qualifications, but will initially concentrate on entry-level trades. "The initial focus will be on key entry-level trades, and will later expand to include higher education qualifications such as naval architecture and engineering," said Minister Pyne. Although the tax-payer funded $25 million college will be based in Adelaide, the minister has maintained there will be opportunities for education and training providers across Australia. 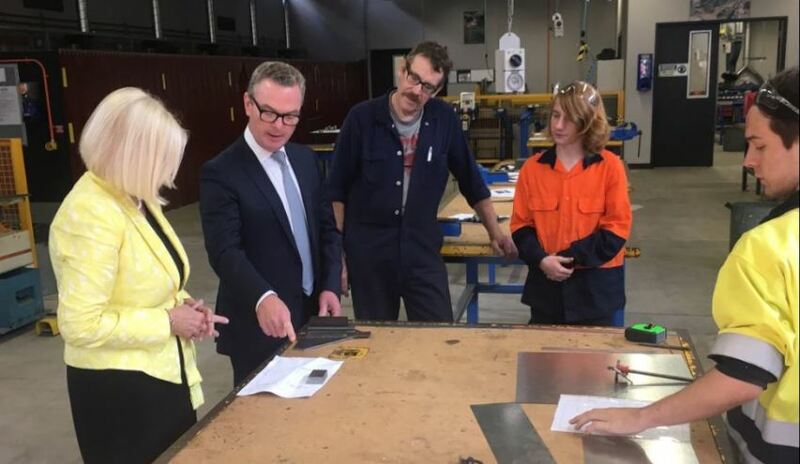 "Training providers from across the country such as the Australian Maritime College in Launceston and TAFE providers across the country are in the perfect position to benefit from this government initiative," Minister Pyne said. "The Naval Shipbuilding College will be national in scope. It will work with, rather than compete with, existing education institutions across Australia." The minister also said there would be opportunities for current workers in shipbuilding, sustainment and supply industries. The college is expected to target suitable former automotive industry employees, including Holden workers that will be laid off once the manufacturer closes its doors in Adelaide on 20 October 2017, along with workers previously employed in mining. The first phase of the Naval Shipbuilding College, commencing in early 2018, will build capacity and annual throughput at existing education and training facilities around Australia, with the College headquarters at Osborne providing the central hub for managing implementation and collaboration between stakeholders, along with delivery of naval shipbuilding career awareness programs. The focus will be on increasing key entry-level trade qualifications, reflecting the greatest demand expected in early years of the construction projects for trade qualified workers in structural and outfitting occupations. Although key entry-level trade qualifications in Australia are typically provided through a traditional apprenticeship pathway, which involves an employer recruiting an apprentice and training them on the job, shipbuilders in South Australia are unlikely to recruit many apprentices before demand begins to ramp-up in the early 2020s, which raises the question of how apprentices in these trades will receive the on-the-job training required for their trade. The government hopes the new college will address this by seeking to arrange for suitable group training organisations across Australia to recruit naval shipbuilding apprentices and hire them out to their member employers for on-the-job training, potentially with naval shipbuilders, suppliers and sustainment providers both in Australia and internationally. The successful tenderer implementing the first phase of the college will also collaborate with government and education and training providers to trial alternative approaches to the traditional Australian apprenticeship scheme, such as up-front formal training, effectively delaying the job training component. The second phase of the Naval Shipbuilding College will commence around 2020-21, increasing the capacity and throughput of students in key higher education qualifications (such as naval architecture and engineering) through universities. It will also develop and provide bridging programs for qualified workers from allied industries (such as automotive manufacturing and resources). The third phase of the Naval Shipbuilding College will commence around 2022-23. This will see the development of a purpose-built training facility located at the Osborne Naval Shipyard. Following thorough consultation with government and industry partners, including selected designers and builders for the three build programs, the college will offer a range of naval shipbuilding education and training, arrange placements for students and graduates, and actively seek to recruit candidates from other geographic locations. This approach will ensure the numbers and types of skilled workers increase in line with industry demand.